The VPN industry is starting to get a bit overcrowded now and there are a lot of VPN service providers out there who claim to be the best VPN service (and the fastest too), but very few of those VPN services can actually back up what they claim. Is CactusVPN one of those services? CactusVPN is a relative newcomer in the business of VPN services. It was founded in 2012 and since then, the engineers behind the VPN company have been hard at work in making its services as reliable as possible. As a result of those persistent efforts, CactusVPN has attracted a decent amount of attention from the market both in terms of number of customers and media exposure. If you read most of the stuff that is being put up on the internet related to CactusVPN, you would find that CactusVPN always gets mentioned alongside VPN services that are streamlined and reliable. You are going to have to read the full review in order to know if CactusVPN really is a premium VPN service or not. With that said, there is no doubt about the fact that CactusVPN has some pretty unique packages in terms of price and features. CactusVPN, along with its VPN service, also offers a SmartDNS which can be purchased by interested users alongside its VPN service in the form of a bundle. But is that all that CactusVPN can bring to the table? What is it that attracts customers to CactusVPN rather than some of the other VPN services? Because if there is one thing true about the VPN industry, it’s that you have to provide more value for the money than the next VPN company in order to have any chance of success and profit. To its credit, CactusVPN gets to work rather early when it comes to attracting potential new users and it does that from the front by offering packages at prices that are unique and a bit out of the ordinary which at least makes CactusVPN stand out from the crowd in this aspect. But how does the actual VPN service stack up against some of the best VPN service providers in the market? CactusVPN distinguishes itself from the rest of the crowd by offering not just the standard monthly packages but also a set of packages not offered by any of the top VPN services in the industry. Perhaps we should also mention here that CactusVPN doesn’t only offer monthly packages but also quarterly and annually ones. Okay, so you might as well be thinking that this is pretty standard, so where is the kick? Well, on the face of it, CactusVPN appears to be offering much of the same packages that other elite VPN services offer to their new users. But further inspection indicates that CactusVPN packages are a bit more complicated than that. Basically, you have the traditional packages which allow you to use the VPN service for a certain length of time such as a month, four months or a year. Packages for all these durations are readily available for new users to sign up for, but along with those standard packages CactusVPN throws in packages which can only be described as plans rather than anything else. There are five types of plans and they are available to new users for different lengths of time. So you have packages that are strictly length dependant and extra packages (plans) that are formed with a combination of location and time period. SmartDNS: This packages basically allows new users to sign up for a SmartDNS service rather than the real VPN service. Not exactly a VPN package but useful for those who are willing to try new stuff. VPN + SmartDNS: In this combo deal, users can expect to have access to special servers that are located in regions such as the United States of America, the United Kingdom, Netherlands, Romania among other places. As should be obvious from the branding of this package, users will also get a SmartDNS service along with the standard VPN service as part of the deal. The only other thing noteworthy about this combo package is that users will be able to select their favorite from 16 different servers. UK VPN: This package is quite similar to the US VPN one. The only different, of course, is that this package allows users to access all CactusVPN servers that are located in the United Kingdom. The total number of VPN servers come to around 6 as far as CactusVPN is concerned. Liberty VPN: This package is a bit different from the rest of the packages in the sense that it allows subscribers to access servers located in two different locations. This package offers a total of sixteen CactusVPN servers. Four of those sixteen servers are located in the Netherlands and the other two are present in a country by the name of Romania. As far as the actual pricing of the packages goes, it gets a lot simpler here. Essentially, the US VPN package along with LibertyVPN package, UK VPN package, and the SmartDNS package all cost the same, which is around $3.49 per month if you want to make the payment using USD currency. However, if you show a bit more commitment then CactusVPN brings the price down to $9.09 for four months. If you sign up for twelve months, though, a full year, CactusVPN brings the price further down to $27.29 per year. New users or old ones looking for a simple VPN service with simple packages can’t get any better than this as far as pricing goes. We’ll get to the actual VPN service a little later in this review. Moreover, if you just want the SmartDNS then CactusVPN has got you covered as mentioned before. The prices are all pretty competitive if we compare then to the rest of the elite VPN services out there in the market. As indicated earlier in the review, CactusVPN also offers a sort of complete package in the form of VPN service plus SmartDNS. This package is a bit more expensive when compared to other four packages for the obvious reasons (it includes a VPN service plus a SmartDNS service while other packages don’t). You can sign up for the CactusVPN VPN plus SmartDNS package for about $4.89 per month. Extend the contract to four months and you can have the complete package for about $12.59 for four months. If you want to sign up for the complete package for twelve months then you can do that by paying $38.49 per year. 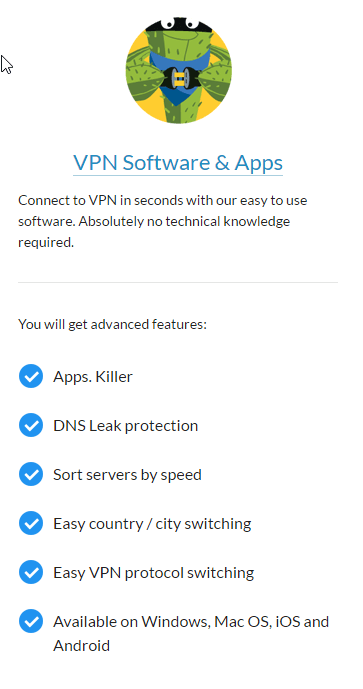 This package might seem on the expensive side, but as mentioned before, this is pretty reasonable considering what other VPN services are offering for the same price. Of course, the quality of a VPN service can’t be solely determined by the price of packages. It depends on the reliability and stability of the actual VPN service more than the price. Don’t worry, we’re getting closer to that part already. The more savvy of our readers would have already figured out that the best bang for the buck lies in the complete package. The price difference isn’t significant enough to not opt for the VPN plus SmartDNS package. Maybe CactusVPN has done this on purpose or maybe it hasn’t but it doesn’t change the fact that given the relatively small difference between normal packages and the complete package, the complete package offers more for less. Of course, the deal breaker for many as far as the normal packages go, would be the limited number of available servers. As mentioned before, CactusVPN offers just sixteen servers which is extremely limited given that some of the other VPN service providers are offering much more at a similar price. And since VPN servers have made quite a name for themselves in going down once in a while and sometimes can become slow too, a large number and variety of servers is a must for any VPN service to remain competitive in this industry. If you’re not that worried about pricing, then know that the extra $10 that you will pay for the complete package (if you sign up for the complete package for a duration of a year) is well worth it because of the extra features and additional options. Potential new CactusVPN users can pay through a variety of methods such as credit card (CactusVPN accepts American Express), Paypal and several other payment methods that hide your identity and provide you more protection as far as your privacy is concerned. New users can pay for CactusVPN through Webmoney and Qiwi as well, but if you want to remain on the safe side then avoid paying for CactusVPN through Alipay because recent reports have revealed some connections of Alipay with the Chinese government so it is always preferable to stay out of this kind of a situation. CactusVPN has recently added more payment options such as Bitcoin. Now, Bitcoin is a pretty safe way to make online payments and hence we think that CactusVPN has stolen the march on many of its rivals by offering such a wide array of payment methods. CactusVPN also offers a 30-day money back guarantee for new users who want to test the VPN service out before committing too early. So if you’re not satisfied with the service after a period of 30 days then you can opt out without getting charged. There is also a 24-hour free trial which enables potential new users to use the VPN service for free for a whole day before making the purchase. Most of the top VPN services don’t have such offerings and the ones who do are already abandoning them, so it is quite refreshing to see a VPN service sticking to what is best for the end user. Moreover, you don’t even need to enter your payment credentials if you want to try out CactusVPN for a period of 24 hours for free. The only thing CactusVPN wants from you is your email address which it uses to register you. After you have registered with CactusVPN using your email address, CactusVPN staff will send you a confirmation email which will have the details on how to use CactusVPN service. CactusVPN employs AES-256-CBC encryption so you can rest assured that your connection to the VPN service is safe and secure from spying agencies and marketing companies. CactusVPN provides a number of compatibility options for a number of devices and operating systems such as Windows, Mac OS, Android, and iOS. Linux users will have to wait further because CactusVPN currently doesn’t support the platform. If you’re using CactusVPN on Windows then the process is as simple as downloading a file and then installing it. The app’s interface is clean and simple which makes it easy for new users to navigate and hence use. The desktop app has a homepage which has simple buttons and users can click on those button in order to select servers in the country they want to. Users can also choose individual VPN servers that they like the most. Moreover, the app also allows users to sort out available VPN servers by speed. The desktop software application also enables users to vary their VPN protocols from the main app. If the user wants to use SoftEther though, then that requires a different setup. It’s not a cause for worry because CactusVPN’s official website provides the setup for that. If we go into a bit more detail regarding the desktop app, we see that there is a settings tab that allows users to tweak their VPN settings with the help of on and off switches. That does not mean that the desktop version of the app is a dumbed down version of standard VPN apps. For experienced users, the CactusVPN desktop app has advanced settings. So if you are concerned about your DNS leak protection, then you can enable that from the advanced settings tab. The DNS leak protection is disabled by default. CactusVPN desktop app also has an AppKiller feature and that basically puts CactusVPN among the top VPN services in the business today. There is actually a dedicated tab for the feature where users can select which applications they want to run on their devices when connection to a server becomes unstable or drops. And when a CactusVPN server does drop the connection, the app will automatically disconnect the selected apps from the internet in order to keep your identity safe and your private data protected. One of the other tabs includes customer support services which users can use if they run into problems regarding the desktop app. Considering that CactusVPN desktop app offers some pretty nifty and advanced features, it is really a shame that it lacks some of the most basic functions you would expect from a good desktop VPN app. For example, there is no way to save servers that you like more than the rest. In other words, there is no way to “favorite” specific servers. Even though the interface is simple and intuitive, CactusVPN could have really bumped up their rankings if they just thought more about introducing some standard features. If we’re talking about the iOS app, then the moment you log into the app, you are presented with a list of available servers. When you select a specific server you are taken to another page on which you’ll have to install a profile. The whole process takes a couple of clicks so there shouldn’t be any problems here. But we will add that when you install the VPN connection profile on the iOS app, it is very hard to know if the VPN has connected since there is no clear sign for that. In fact, you’ll have to think twice before moving forward because there is very little guidance. Every time you want to enable the VPN connection, you’ll have to go the VPN homepage and then to settings and then enable the VPN from there. CactusVPN explains none of the above. 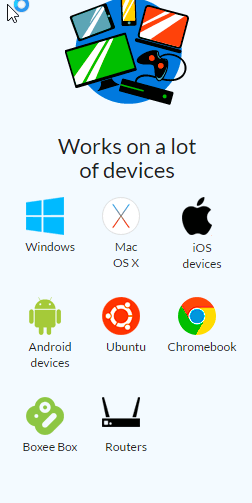 The biggest bonus feature regarding the app is that you can connect any number of devices using your CactusVPN account. If you signed up CactusVPN in order to have access to a lot of servers both in number and variety, then you came to the wrong place. CactusVPN for all its bonus features is not in the same league as some of the other premium VPN services in the industry. Big players in the VPN industry sometimes even offer hundreds of VPN servers and connection which span across multiple countries on different continents. CactusVPN, as of this moment, can only boast 18 servers which are located in four countries. The company has six in the United Kingdom, four in the Netherlands, two in Romania and four in the United States of America. Of course, lack of number of servers can be a blessing in disguise depending on how you look at it. Users who want to unblock content (such as on streaming websites) that is not hosted in one of the four available countries, will find no respite in CactusVPN. New users (or old ones) who want a secure local VPN connection should also look at some other VPN service because CactusVPN will not cut it. But readers should know here that if they want an increased number of connections, they’ll have to shell out more money for VPN packages. CactusVPN offers new users, quite economical packages only due to the fact that the company keeps its costs down by offering a streamlined VPN service in terms of servers and variety. Most users will never need more than 18 servers so CactusVPN’s offering isn’t bad. It’s just not the best. To put it another way, eighteen servers is pretty sufficient for anyone who wants privacy and security when connected to the internet. Besides, USA and UK form two of the most popular markets in terms of content (movies, documentaries, apps, games) so CactusVPN has got you pretty much covered if you’re interested in the US version of your favorite streaming site. Don’t forget, the servers in Netherlands and Romania can prove to be really useful if you want to download files from the internet and engage in torrenting without worry. Moreover, don’t forget that if you sign up for a package that is restricted in terms of location then you will have an even lesser number of servers to connect to. Nevertheless, as mentioned before, even one or two server locations can prove to be enough for the majority of the users. 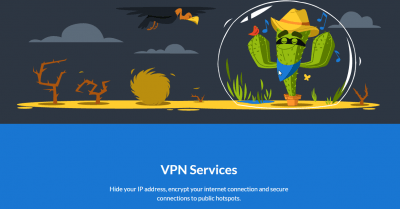 Users who don’t want to access content that is locked have got nothing to worry about because CactusVPN is a reliable enough VPN that provides online security and complete privacy protection. In short, the limited number of VPN servers will not prove to be a problem for users who don’t want to access blocked content. Moreover, there are no limits to the amount of data you can download through CactusVPN. In other words, the bandwidth is unlimited. But do keep in mind that if you abuse your “unlimited” privilege and it starts to affect other users, CactusVPN will restrict your access to the internet through their application for a certain period of time. You don’t have to worry about the speed though. Additionally, CactusVPN allows users to engage in torrenting activity but it can only be done on servers that are located in Netherlands and Romania. In other words, you can only perform torrenting with CactusVPN if you sign up for the Liberty package or the complete package. Thankfully, CactusVPN does not affect your internet connection speed that much. Even if there is an impact, it is minuscule. So small, that most users will not be able to even perceive the slower connection speed. With CactusVPN you will be able to open web pages without any problem and will be able to download content at your normal speed. You can stream videos too if that wasn’t clear already. All that does is that it further protects the user against government organizations who are trying to know everything a user does on the internet. Had the company been based in the US or the UK, CactusVPN would have had to give up user information if a government organization had demanded it through a warrant. CactusVPN doesn’t keep logs on its users. Therefore the company has no record of traffic, DNS requests, timestamps, IPs, bandwidth usage, connection logs on any of its subscribers. Since CactusVPN uses shared IP addresses to encrypt online traffic for its users, it becomes really hard for anyone to track a single user who uses CactusVPN as his primary VPN service. Of course, that in no way means that your internet usage is hidden from everyone on the planet. CactusVPN’s official policy clearly states that the company does keep registration data and any other information about the user that it sees fit in order to organize its activities. That’s basically a smooth way of saying that if the VPN company faces a court order or subpoenas to give up some information on its subscribers, it will oblige to that order. Official sources also say that the company reserves the right to block certain kinds of data usage in order to protect other users and to comply with legal restrictions and to minimize the legal threat against the company or its users. As far as actual customer support is concerned, CactusVPN offers 24/7 customer service which operates mainly via a ticketing system which has become ubiquitous in the industry. You should expect a prompt answer to your query if you ever need to reach CactusVPN’s staff. The official site has dedicated sections which include tutorials for setting up the apps, a complete FAQ section, and an official Learning Centre. There is no live chat help or support though. Our experience tells us that VPN companies who do provide live chat, tend to get the most number of customers. Update: We have been told by official representatives of the company that CactusVPN does provide customer support in the form of live chat. It’s just not 24/7. Moreover, it works from Monday to Friday, from 9:00 to 18:00 CET. Apart from that, there is really no major shortcoming on CactusVPN’s part. Should You Buy CactusVPN Service? To be honest, it is a bit difficult to give a verdict on CactusVPN simply because it does everything reasonably well. However, users have reported that they feel something is missing in the VPN service. Well, the downsides should be pretty obvious. The number of available servers is limited and server location variety isn’t too great either. There is no live chat support and the iOS app can certainly use a bit of work. With that said, there is no doubt that CactusVPN provides some of the most economical VPN packages that one is likely to find on the internet. 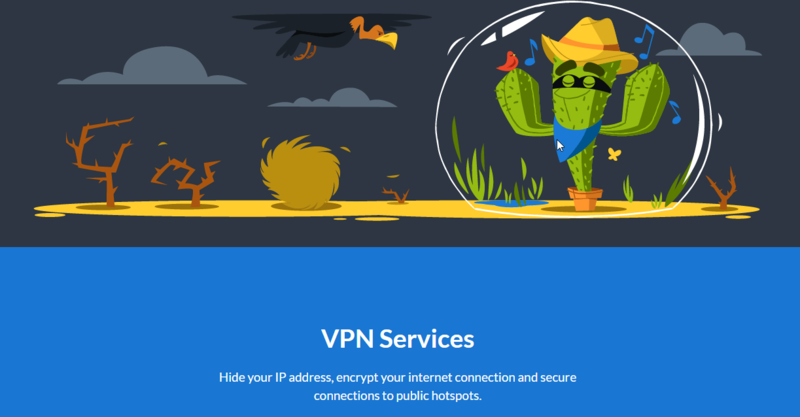 CactusVPN provides a basic VPN service at low cost and that makes it a pretty neat choice for anyone who is just starting to use a VPN service. Finally, CactusVPN is suitable for you if you’re not looking for advanced features and don’t want to shell out too much money in order to buy a VPN service. If you want to go for a VPN service that is borderline state of the art, then CactusVPN is not for you. You should keep looking at other VPN services which may be expensive but manage to offer everything a user could need in order to guard his/her privacy and other sensitive information. CactusVPN is far away from threatening the likes of IPVanish or StrongVPN, but it can get there with some improvements.